I am going to put in a place holder for K – because I found a lot of information on this one and want to do a detailed post. Also I have reached out to the site owners for their permission to post and still waiting on their responses (I kknow, I should do it in advance, but I decide on the topic only on the day of). Kumari Kandam is similar to Atlantis, it submerged around 20 million years ago at the tip of the Indian continent. Drilling by a reasearch vessel Joides Resolution brought up samples of wood and pollen from around the area where this continent is supposed to be. 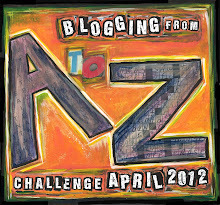 This entry was posted in A to Z Blog Challenge, Ancient Mysteries. Bookmark the permalink.